Find cases of champagne from top brands including Armand de Brignac, Bollinger and Veuve Clicquot here at Gifts International. They’re perfect for any event where you want to impress. Each case contains six bottles of premium champagne, and many come beautifully presented in wicker hampers. While some cases feature six bottles of brut or rosé champagne, others contain a mixture. 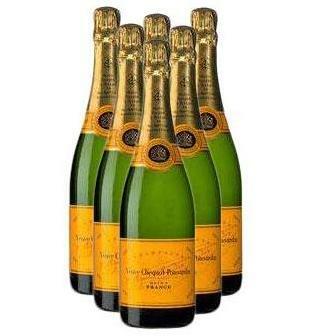 Buy champagne cases online today, and we’ll deliver to any international address. For bigger orders, look to our crates of champagne or corporate service.